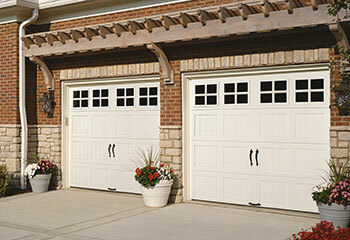 Our professional garage door technicians are highly skilled at replacing broken springs and installing new openers. If you need some type of assistance, you can count on us. Below are some of our latest projects. Check them out to see examples of how we can help. Customer Issue: Panel was badly dented. 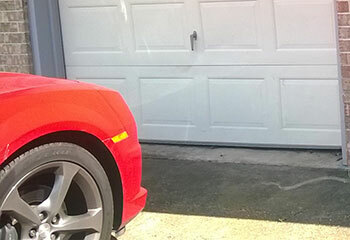 Our Solution: This customer’s panel had been damaged by the car bumping into it, so we unscrewed the broken panel and removed it from the rest of the door. A new panel was then installed in its place of the correct color and size. Our Solution: The reason was obvious to us from the moment we arrived, but we still made sure to examine the entire system to be certain. Once we made sure the sensors were in fact the cause of the problem, we carefully realigned them back to their correct position and made sure the door could close properly once again. 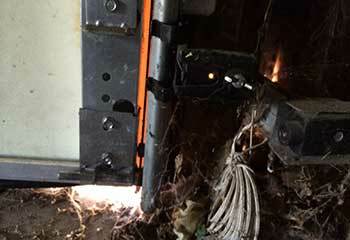 Our Solution: After inspecting the system we determined that rust was the main reason for the premature breakdown. 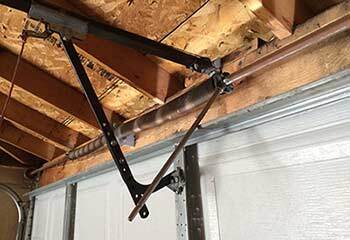 We then proceeded to disconnected the opener, removed the damaged component and installed a new galvanized torsion spring in its place. Our Solution: We offered the customer several options, and he decided to go with a steel garage door from the Amarr® Hillcrest collection. We proceeded to install his new model and gave him some tips on how to prevent rust.